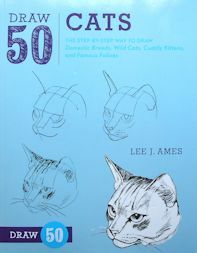 This paperback book provides step by step instructions on drawing domestic and wild cats, kittens and famous felines. The paperback is 8 3/4" wide x 12" high. Copyright 1986, 56 pages. Previously owned but in new condition.